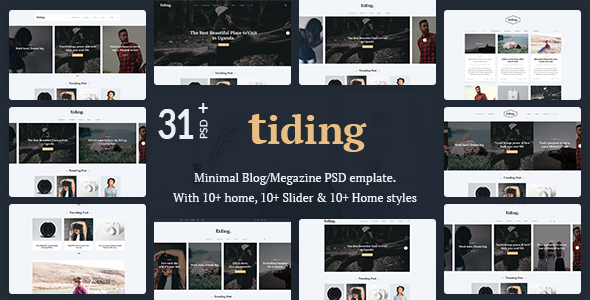 TIDING is a powerful Responsive Minimal Blog/Magazine PSD template. 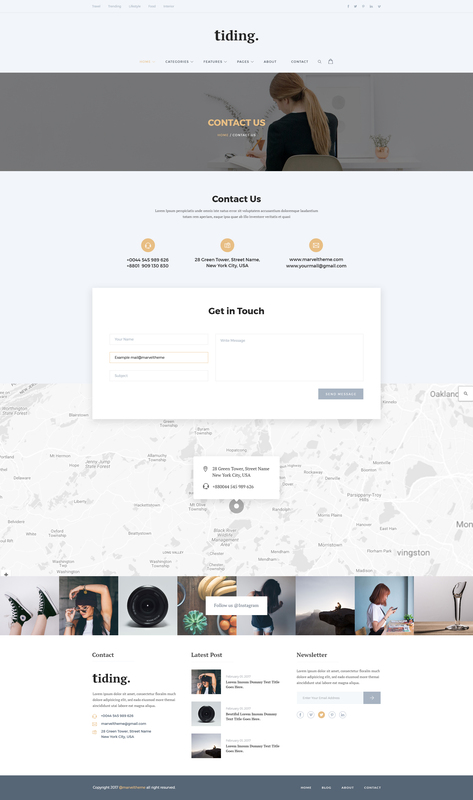 It is 100% responsive and looks stunning on all types of minimal blog, Personal blog, magazine, newspaper etc. 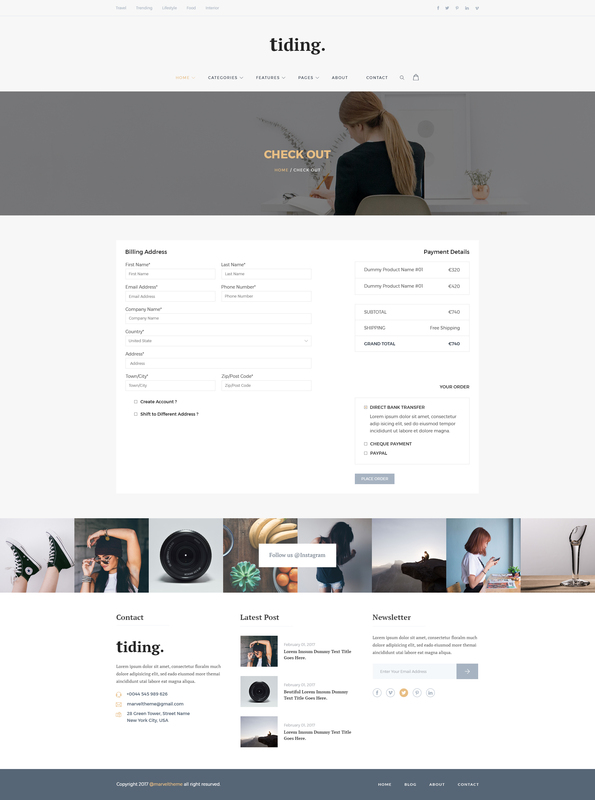 TIDING Blog/ magazine psd mixes between modern, classic and minimal styles and will help you create a simple and clean blog, if you are a blogger ? TIDING is a perfect choice for you. 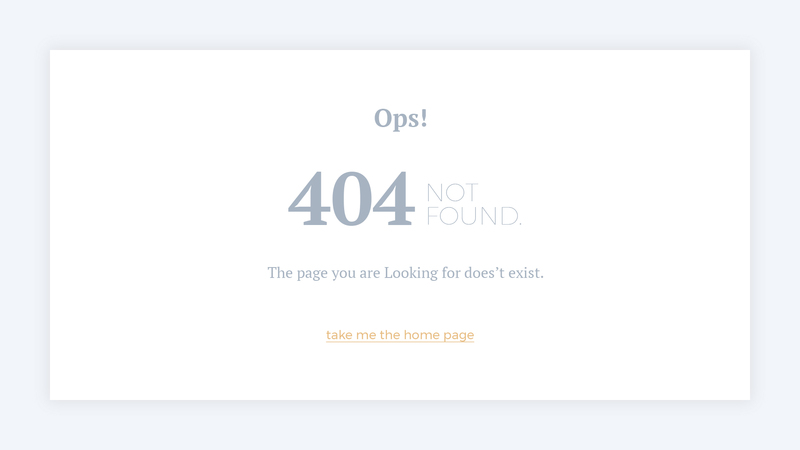 Users will love Your site because it gives them a unique user experience (UX). 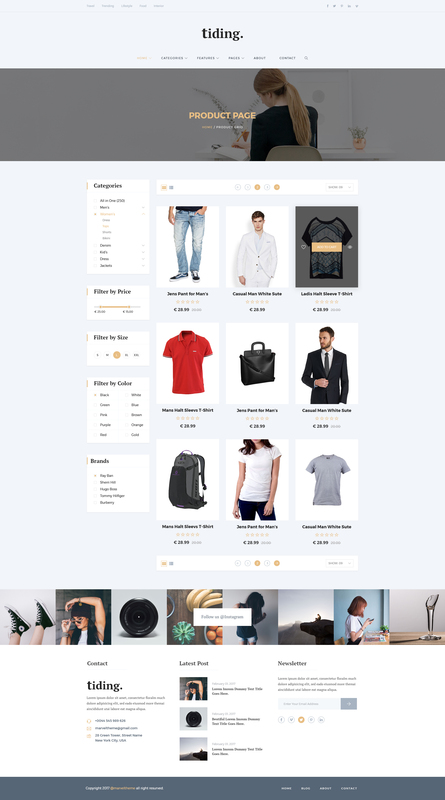 PSD files are well organized and named accordingly so its very easy to change any and all of the design.Total 31 PSD files have been included.